Does the nation have a right to know anything about DeMO-ReMo? The demonetisation of currency notes of Rs 1,000 and Rs 500 denomination that the government announced on November 8, 2016 and the subsequent remonetisation of the economy has affected almost every person in India. It came as a revelation when the media reported that many people in neighbouring Nepal were also adversely affected by the demonetisation of the high value currency notes when they sent a delegation to India to mitigate the note-ban crisis in January. So the Olympian DeMon-ReMon exercise affected billions of people within and across India's borders. Despite the government spending taxpayers’ money to shore up public support for DeMon-ReMon exercise and the digitisation plan to move to a less-cash economy by linking it to ‘national pride’, detailed information about what went before and what followed this exercise is hard to come by. On the one hand movie and TV ‘celebrities’ (who probably never had to stand in a queue before banks or ATMs to change the demonetised notes they held) cheerfully urged people to support this exercise (perhaps they received payments in the new currency or through digital transactions). On the other hand, many of us in civil society and the mass media are knocking on the government’s doors for detailed information about this DeMon-ReMon exercise. Here are three RTIs explaining how the bureaucracy is resisting the assurances of transparency that the prime minister and his colleagues have made time and again about the working of the NDA government. 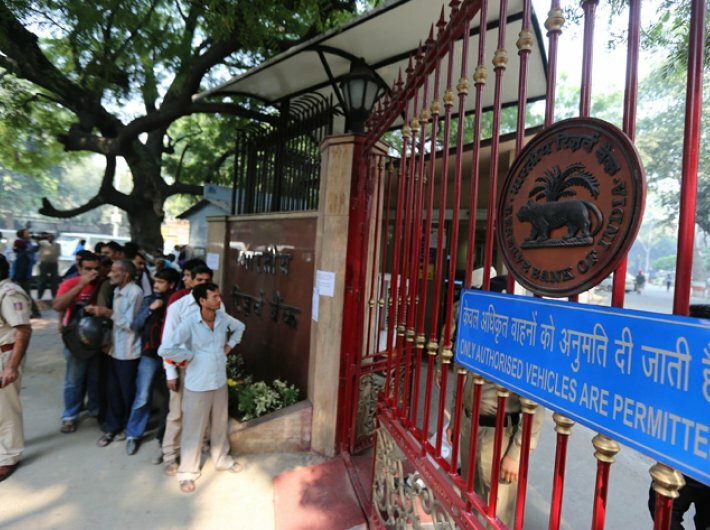 The first RTI story relates to the PMO and the remaining two relate to the Reserve Bank of India. On November 30, 2016, while addressing a meeting of the BJP’s parliamentary party, the prime minister reportedly asked his ministers and party MPs to submit details of their bank transactions between November 8 and December 31 to the president of the party. Several media reports opined that this directive was a move to buttress the PM’s commitment to transparency in public life, given the allegations made by the opposition parties that BJP leaders had advance information about the closely guarded DeMon-ReMon exercise. 4) A clear photocopy of all communication issued by your office to the Income Tax Department or any other authority to inquire into any of the transactions contained in the declarations received from the Union Ministers, MPs and MLAs, till date, if any." We submitted this request almost a month after the PM’s directive was reported in the media hoping that at least some ministers and MPs might have complied with this directive. Thanks to a judgment of the Punjab and Haryana high court, multiple citizens can seek information through a joint RTI application. It is not clear whether the PM’s directive to his ministers, BJP MPs and legislators remained merely verbal or was reduced to writing by anybody in the government. The directive assumes importance because it was made at the meeting of the BJP’s parliamentary party which comprises of all representatives elected by the people. Surely, the people have the right to know these details about their elected representatives. First, the voter’s right to know the assets and liabilities of candidates contesting elections to parliament and the state legislatures is a deemed fundamental right under Article 19(1)(a) of the Constitution, thanks to the successful litigation launched by ADR and PUCL. RTI is also a deemed fundamental right under this very article of the Constitution. So when people have the right to know details of the movable and immovable assets of politicians even before they get elected, surely, there is no reasonable basis for denying access to Demon-Remon transactions of Ministers, MPs and Legislators who are first and foremost people’s elected representatives. Asset declarations include bank balances reported by the candidates in their affidavits which are public disclosed on notice boards in the constituencies and on the website of the election commission. c) Whether the income tax department is scrutinising their transactions with as much enthusiasm and promptness as it is doing with the transactions of other citizens. Second, in November 2015, the attorney general of India argued before the supreme court that the citizens of India did not have a fundamental right to privacy guaranteed by the Constitution. The constitutional validity of Aadhaar was challenged through a PIL. The supreme court felt convinced enough by these arguments to refer the question whether citizens have a fundamental right to privacy to a Constitution Bench. It is not clear whether this bench has been constituted yet and whether this issue is likely to be decided any time soon. So when the elected representatives cannot stand up to protect people’s fundamental right to privacy they cannot stake a claim to protect their own privacy. The second RTI application was about the assistance that Bank Mitras provided the underprivileged to deal with DeMon-ReMon woes. Three months after coming to power in 2014, the NDA government launched a massive financial inclusion programme called the Prime Minister’s Jan-Dhan Yojana (PMJDY). In order to provide banking services to the rural and urban poor at their doorstep, a scheme of ‘Bank Mitras’ was developed. Bank Mitras or Business Correspondents were tasked with ending what the PM called “financial untouchability” and the campaign was celebrated as a “festival to grant the poor independence from the vicious cycle of poverty”. According to media reports, about 22 crore PMJDY bank accounts have been opened till date. At the beginning of 2017, PMJDY bank accounts are said to have received more than Rs. 40,000 crore when the country was going through the DeMon drive. 5) The total number of pieces of currency notes of Rs. 100, Rs. 50, Rs. 20 and Rs. 10 denomination distributed by Bank Mitras in each district to PM Jan Dhan Yojana account holders since 09 November, 2016, till date, on account of facilitating withdrawal operations. Please provide bank-wise and district-wise details for each working day." This RTI was sent directly to the Financial Inclusion and Development Department of RBI after checking the CPIO's details on the website. The CPIO, has replied stating that RBI does not have any of this information and has transferred the RTI application to the Department of Financial Services (DFS), Ministry of Finance. The CPIO of DFS is yet to respond to the RTI application transferred to him. 3) Please provide copies of all reports received from the officers responsible for the management of the designated currency chests across the country regarding the day-wise remittance of specified bank notes (SBN) from 09 November, till date, along with the name and address of the bank making each remittance. 6) A clear photocopy of all official records, by whatever name called, indicating details of action taken by RBI to prevent the recurrence of attacks on the premises and staff of banks in future." The CPIO of RBI has replied only to the first three queries. 2) The CPIO, citing Section 8(1)(a) of the RTI Act, refused to provide the details of currency notes sent to various currency chests for the purpose of ReMon. 3) The CPIO has claimed that information about DeMon notes sent back to currency, chests every day, is available in a scattered manner and has invoked Section 7(9) of the RTI Act to say that collection of information would disproportionately divert the resources of the organisation. What is wrong with this reply? Section 8(1)(a) contains at least seven grounds for rejecting access to information including scientific interests of the country and relations with foreign states apart from national security and defence matters. It is not clear which ground the CPIO wants to invoke amongst these to refuse information. It would be absurd to argue that all grounds are applicable. Further, Section 7(9) of the RTI Act cannot be used to reject access to information. The CPIO has a duty to provide information in some other form. "4. Every banking company referred to sub-paragraph (1) of paragraph 1, shall at the close of business of each day starting from 10th November, 2016, submit to the Reserve Bank, a statement showing the details of specified bank notes exchanged by it in such format as may be specified by the Reserve Bank." So if the RBI has not yet devised a system for collecting and compiling this data from disaggregate sources, this may be another indicator of the haphazard manner in which DeMon-ReMon has been rolled out. Or the CPIO is providing completely misleading information. No other explanation is plausible. How can DeMon-ReMon be studied in the absence of official data? On new year’s eve, i.e., December 31, while addressing the nation, the PM hoped that economists and social scientists would study the DeMon-ReMon phenomenon in the days to come. The next day the media reported the finance minister as saying that his ministry will do its best to implement every word of what the PM announced in his speech. If official data is not placed either proactively or in reply to RTI applications, how can DeMon-ReMon exercise be studied in a credible manner? It will be nothing more than an analysis of people’s perceptions about DeMon-ReMon. Unfortunately, the bureaucracy does not seem too eager to walk the talk of transparency that the leaders in government are voicing publicly.